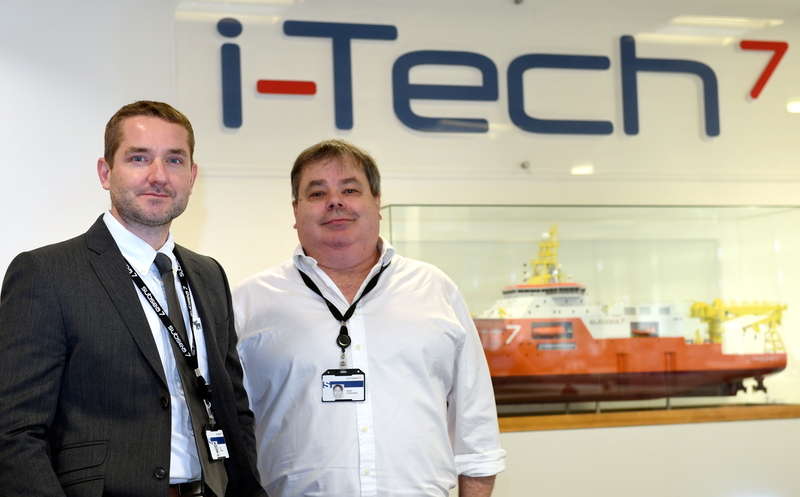 I-Tech a Subsea 7 company - Nick Stewart, strategy and technology director (left) and Hugh Ferguson strategy director. It’s difficult to argue with Hugh Ferguson, strategy director at i-Tech Services, part of Subsea 7. Digitalisation probably does not get most people’s pulses racing, although almost everyone says they appreciate its value. And Mr Ferguson’s comment belies his enthusiasm for the subject. What’s more, he and fellow bosses at the life-of-field services provider said they won’t “hide behind the word”. They are determined to put “meat on the bone”. In April, i-Tech inked a five-year pact Leidos, a Fortune 500 information technology business. I-Tech intends to use Leidos’s expertise in digitalisation to squeeze more meaningful and useful insights out of the vast reams of data it collects. 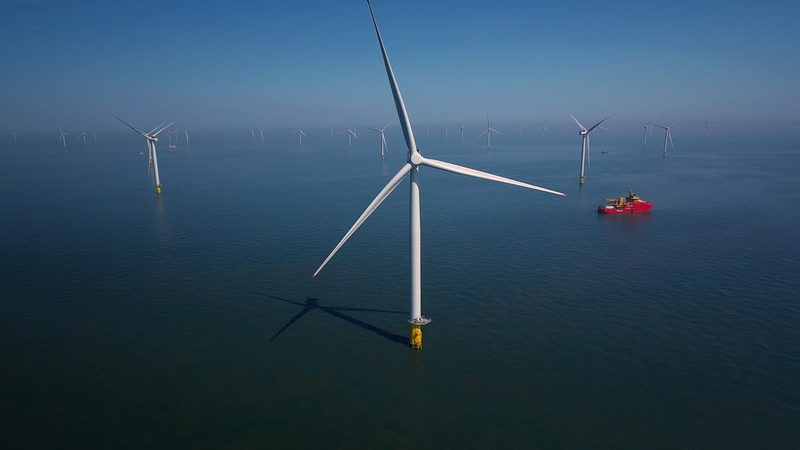 If the partnership bears fruit, clients will be able to maximise uptime, cut maintenance and support costs, and extend the production lives of their assets. There’s more to the fledgling relationship than fluffy lists of aspirations. They have tangible measurements for success, something often lacking from the early-stage “digital discussion”. I-Tech and Leidos believe their combined forces can deliver a 75% reduction in campaign time, a 50% increase in data quality, and a seven-fold jump in processing speeds. Mr Ferguson said the process of acquiring data offshore was a “very manual process”. And he provided some information of his own to demonstrate the size of the challenge facing the oil industry. The partners hope to reduce turnaround times for data, achieving an equal-time split between acquisition and processing. Mr Ferguson said too much time was spent agriculturally reviewing videos, and not enough on final quality. Part of Leidos’ appeal was the fact it plies its trade across a range of markets, including defence, intelligence, homeland security, civil engineering, and health. Leidos will heavily automate i-Tech’s offerings in remotely-operated vehicle (ROV) and diving interventions, surveys, inspections, repair monitoring, data management, engineering and production sampling. Nick Stewart, strategy and technology director at i-Tech, said the business was based on vessels and their capabilities. The oil and gas industry is often accused of being risk averse and lagging behind other sectors in its uptake of new technology. But Mr Stewart said Subsea 7 was one of the first companies in its field to use ROVs, at a time when the industry was reliant on divers for subsea inspections. The company has now reached another “step change” involving autonomous vessels and subsurface systems to prolong field life. Mr Ferguson said the business had data management capability, but had been shorn of the design and software elements. Subsea 7 had its own software capability years ago, but moved away from having its own experts in-house, preferring instead to use “off-the-shelf” products. But the firm discovered that asking another company to develop specific products can be dangerous. Mr Ferguson said: “We were giving our expertise away to a commercial entity that was turning the product around and selling it to everyone. The Leidos pact made sense because i-Tech needed to cover those bases and was not keen on hiring full-time software designers. Mr Ferguson also said i-Tech was not looking for a strict “transactional” relationship. The partners are now at the stage where they can develop the next programmes, which makes for quite an “exciting” time, Mr Ferguson said. Initial phases are focusing on data acquisition, processing, analytical insight and data visualisation. The partners are being pro-active, they’re not waiting for clients to tell them what to do. Their plans for inspection involve the use of machine vision to recognise particular issues with pipelines, for example, turning a manual and laborious process into an automated one. At present, a pilot has to spend hours driving the ROV, which is tethered to the surface vessel, along the pipeline. Autonomous inspection vehicles would drive themselves and collect data. While that’s happening, the surface vessel can “go off” and do other work. The company has been trialling the technology for a couple of years and believes it has huge potential to save time and money. Mr Stewart said: “Now, the pilot flies the ROV down the pipeline and might take 10 hours’ worth of high-resolution, 3D video. “You can see down to the nearest starfish or grain of sand. The video comes back and we have an analyst who will sit with their face close to the screen for 10 hours looking for corrosion, bends and buckles in the pipework and seabed movement which has put strain on the pipework. “Then you maybe do nothing. A year to two years later, you come back and do it again and see what has happened. Has this or that got worse? Do we need to do something? “It could be a case of going back and inspecting more frequently or you might have to physically do something about it. You can’t leave it any longer. “We’re looking to use better cameras and get better data more quickly with faster ROVs. “Then, with data processing, rather than having that guy looking at the data for 10 hours and collecting those points for reference, using an algorithm the computer can see that two hours and 43 minutes into the video, for example, there’s something on the infrastructure worth looking at. “The next stage is the computer actually getting to the point where it knows what it’s looking at. 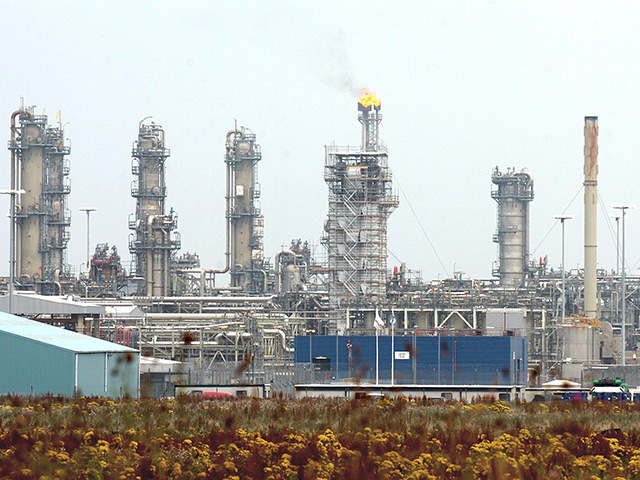 Mr Stewart said building trust with oil and gas exploration and production companies would be crucial. Will it be possible to convince operators that i-Tech is trying to help them save cash? He said: “The operator may see us as a fox in a henhouse. “We have the vessels, so if we’re dictating the number of inspections, maintenance and repairs that need to be done, they could say we’re incentivised by the wrong behaviours.